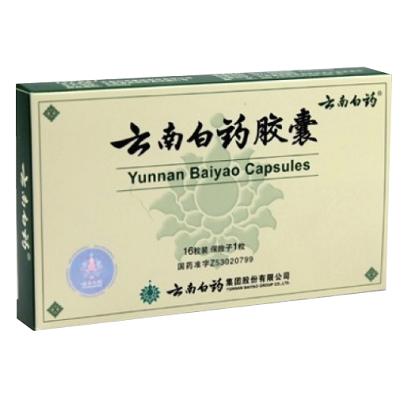 Eliminating blood stasis and hemostatic, promoting blood flow and analgesic, detoxifying and promoting subsidence of swelling. it is ued for treatment of traumatic injury, stagnated blood swelling and pain, spitting blood, hemoptysis, hemotochezia, hemorrhoidal bleeding, metrorrhagia and metrostaxia, suppurative and pyogenic infections and soft tissue bruise, closed fracture,brochiectasis and hemoptysis of plumonary tuberculosis, ulcerative bleeding and infective diseases on skin. For dogs under 10 lbs, give 1 capsule by mouth one time a day. For dogs from 10 to 30 lbs, give 1 capsule by mouth two times a day. For dogs above 30 but less than 60 lbs, give 2 capsules two times a day. For dogs above 60 lbs, give 2 capsules three times a day. 0.25 ?/?? x 16 ??? + ??? 1 ?/?